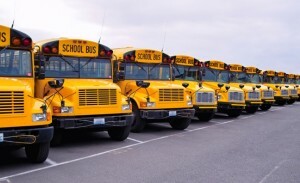 – Our school buses hold approximately 72 passengers. They are equipped with GPS tracking devices & camera’s. In our buses we also practice PBIS which is: to have standardization across the bus fleet for safety, efficiency & accountability. Thus, being able to effectively focus more on driving & less on behavior issues. Therefore, starting & ending each students day on a positive note to enhance their learning experience. – We understand transporting children with special needs requires the utmost care. 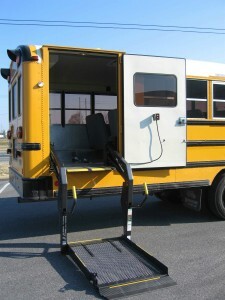 The handicap school buses are wheelchair accessible equipped with lifts & tie downs. Our culture of caring & compassion doesn’t end with our customer service, it includes being prepared & trained to transport our students to/from school. 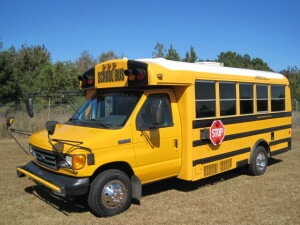 Visit this page for more information on Chippewa Yellow Bus Company.